Intelligence September 11 Intelligence Warnings Previous Operations Other Operations De Facto Disinformation Who Controlled the Planes? A â€œconspiracy theoryâ€ no longer means an event explained by a conspiracy. Instead, it now means any explanation, or even a fact, that is out of step with the governmentâ€™s explanation and that of its media pimps. For example, online news broadcasts of Russia Today (RT) have been equated with conspiracy theories by the New York Times simply because RT reports news and opinions that the New York Times does not report and the US government does not endorse. In other words, as truth becomes uncomfortable for government and its Ministry of Propaganda, truth is redefined as conspiracy theory, by which is meant an absurd and laughable explanation that we should ignore. In other words, the truth of the event was unacceptable to the authorities and to the Ministry of Propaganda that represents the interests of authorities. This despite the fact that the official explanation endorsed by the official media is the most extravagant conspiracy theory in human history. Letâ€™s take a minute to re-acquaint ourselves with the official explanation, which is not regarded as a conspiracy theory despite the fact that it comprises an amazing conspiracy. The official truth is that a handful of young Muslim Arabs who could not fly airplanes, mainly Saudi Arabians who came neither from Iraq nor from Afghanistan, outwitted not only the CIA and the FBI, but all 16 US intelligence agencies and all intelligence agencies of US allies, including Israelâ€™s Mossad, which is believed to have penetrated every terrorist organization and which carries out assassinations of those whom Mossad marks as terrorists. In addition to outwitting every intelligence agency of the United States and its allies, the handful of young Saudi Arabians outwitted the National Security Council, the State Department, NORAD, airport security four times in the same hour on the same morning, air traffic control, caused the US Air Force to be unable to launch interceptor aircraft, and caused three well-built steel-structured buildings, including one not hit by an airplane, to fail suddenly in a few seconds as a result of limited structural damage and small, short-lived, low-temperature fires that burned on a few floors. The Saudi terrorists were even able to confound the laws of physics and cause WTC building seven to collapse at free fall speed for several seconds, a physical impossibility in the absence of explosives used in controlled demolition. The story that the government and the media have told us amounts to a gigantic conspiracy, really a script for a James Bond film. Yet, anyone who doubts this improbable conspiracy theory is defined into irrelevance by the obedient media. 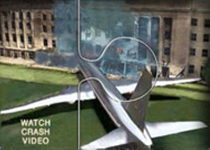 Anyone who believes an architect, structural engineer, or demolition expert who says that the videos show that the buildings are blowing up, not falling down, anyone who believes a Ph.D. physicist who says that the official explanation is inconsistent with known laws of physics, anyone who believes expert pilots who testify that non-pilots or poorly-qualified pilots cannot fly airplanes in such maneuvers, anyone who believes the 100 or more first responders who testify that they not only heard explosions in the towers but personally experienced explosions, anyone who believes University of Copenhagen nano-chemist Niels Harrit who reports finding unreacted nano-thermite in dust samples from the WTC towers, anyone who is convinced by experts instead of by propaganda is dismissed as a kook. In America today, and increasingly throughout the Western world, actual facts and true explanations have been relegated to the realm of kookiness. Only people who believe lies are socially approved and accepted as patriotic citizens. Indeed, a writer or newscaster is not even permitted to report the findings of 9/11 skeptics. In other words, simply to report Professor Harritâ€™s findings now means that you endorse them or agree with them. Everyone in the US print and TV media knows that he/she will be instantly fired if they report Harritâ€™s findings, even with a laugh. Thus, although Harrit has reported his findings on European television and has lectured widely on his findings in Canadian universities, the fact that he and the international scientific research team that he led found unreacted nano-thermite in the WTC dust and have offered samples to other scientists to examine has to my knowledge never been reported in the American media. Even Internet sites on which I am among the readersâ€™ favorites will not allow me to report on Harritâ€™s findings. As I reported earlier, I myself had experience with a Huffington Post reporter who was keen to interview a Reagan presidential appointee who was in disagreement with the Republican wars in the Middle East. After he published the interview that I provided at his request, he was terrified to learn that I had reported findings of 9/11 investigators. To protect his career, he quickly inserted on the online interview that my views on the Iraq and Afghanistan invasions could be dismissed as I had reported unacceptable findings about 9/11. The unwillingness or inability to entertain any view of 9/11 different from the official view dooms to impotence many Internet sites that are opposed to the wars and to the rise of the domestic US police state. These sites, for whatever the reasons, accept the governmentâ€™s explanation of 9/11; yet, they try to oppose the â€œwar on terrorâ€ and the police state which are the consequences of accepting the governmentâ€™s explanation. Trying to oppose the consequences of an event whose explanation you accept is an impossible task. If you believe that America was attacked by Muslim terrorists and is susceptible to future attacks, then a â€œwar on terrorâ€ and a domestic police state to root out terrorists become necessary to make Americans safe. The idea that a domestic police state and open-ended war might be more dangerous threats to Americans than terrorists is an impermissible thought. A country whose population has been trained to accept the governmentâ€™s word and to shun those who question it is a country without liberty in its future. The Honorable Dr. Paul Craig Roberts was appointed by President Reagan Assistant Secretary of the U.S. Treasury and confirmed by the US Senate. He was Associate Editor and columnist with the Wall Street Journal, and he served on the personal staffs of Representative Jack Kemp and Senator Orrin Hatch. He was staff associate of the House Defense Appropriations Subcommittee, staff associate of the Joint Economic Committee of Congress, and Chief Economist, Republican Staff, House Budget Committee. He wrote the Kemp-Roth tax rate reduction bill, and was a leader in the supply-side revolution. He was professor of economics in six universities, and is the author of numerous books and scholarly contributions. He has testified before committees of Congress on 30 occasions. Read more articles by Paul Craig Roberts.